Search results for "coffee cake"
This sweet brown sugar-pecan coffee cake is the perfect addition to any holiday brunch spread. 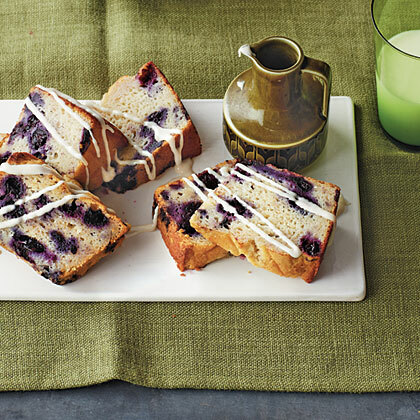 Blueberries and lemon are a natural match, and they come together nicely in this fruit-filled coffee cake. 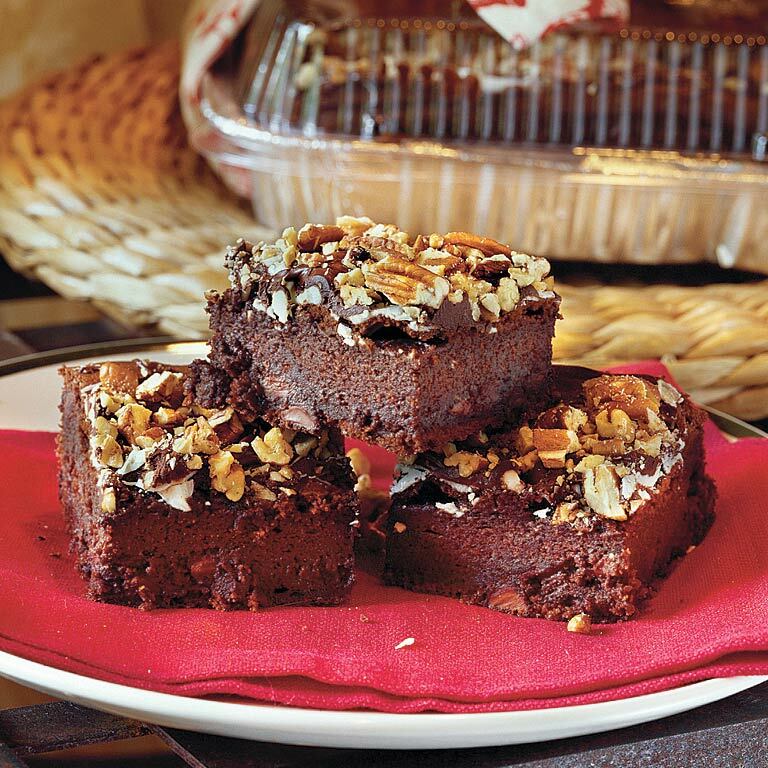 Almond paste, a sweet mixture of ground almonds and sugar, contributes a mildly nutty flavor and moist texture. Forget the box! 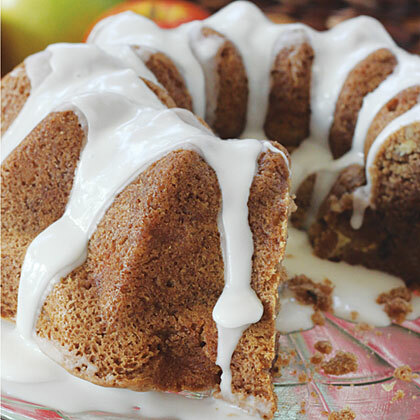 We have a Sour-Cream Coffee Cake that's simple to whip for dessert or a breakfast treat. We include a whole cup of chocolate chips, too! Your book club won't know what hit them. 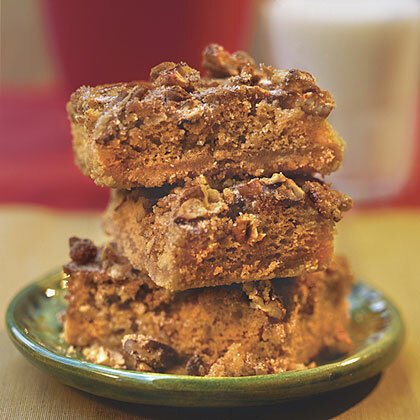 Gone are the days of crumbled coffee cakes. Welcome to the land of triple-chocolate coffee cake goodness. 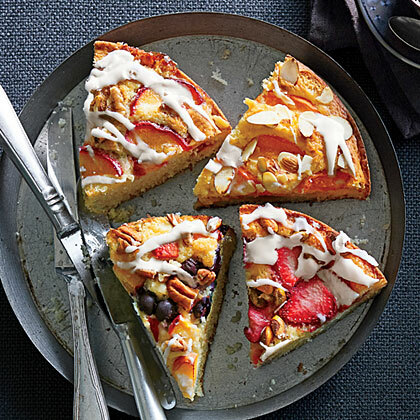 Enjoy by serving with wine, milk, or simply another slice of coffee cake. This year, resolve to think beyond a ho-hum box of chocolates for a hostess gift. 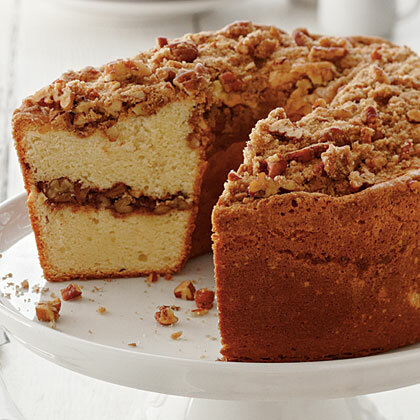 Instead, pass on this sweet treat, which marries two Southern specialties, coffee cake and pound cake, to create one buttery, best-of-both-worlds dessert. 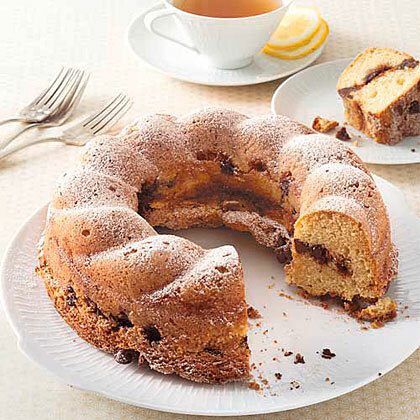 Perfect for brunch or tea, moist Lemon-Rosemary Coffee Cake is a perfect pick. 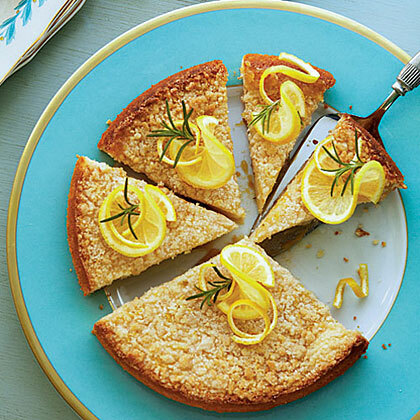 Fresh rosemary complements the lemony flavor in this coffee cake. A tall cup of joe knows no better match than a wedge of coffee cake. 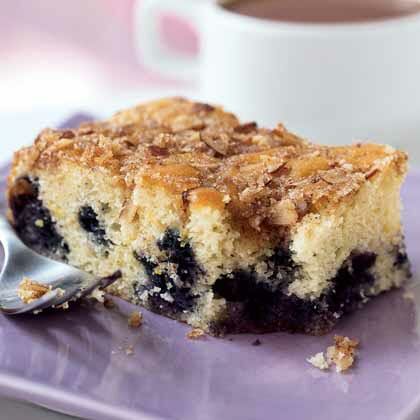 But standard coffee cake can be a lot first thing in the morning. 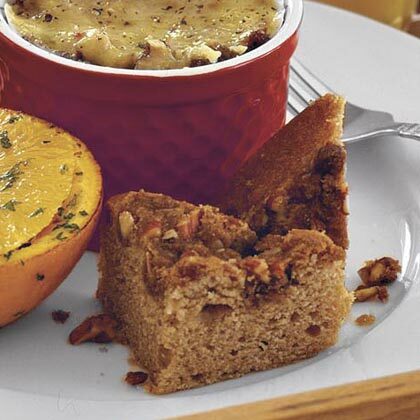 To build a better breakfast cake that won’t send you into midmorning nap mode, we start by building a whole-grain base bolstered with warm spices and brightened up with citrus juice and zest. The savory notes of olive oil lend complexity, while the oil’s characteristic fruitiness is accentuated by the citrus zest. The finished product: a bakery-quality coffee cake that won't make you sleepy. 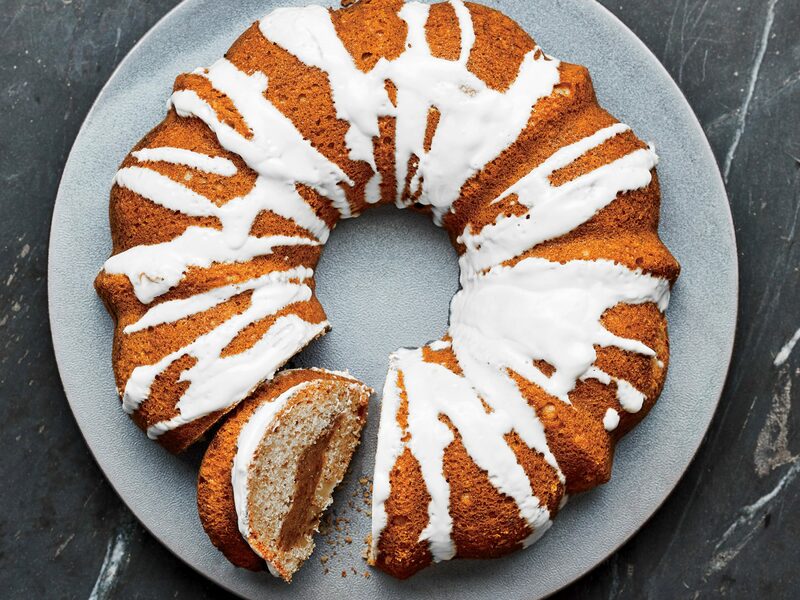 This bundt cake boasts the flavors of fall. 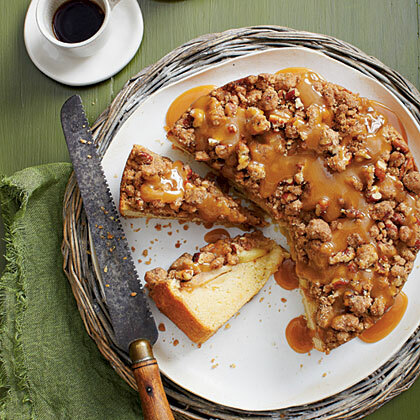 Serve this Apple Walnut Coffee Cake for breakfast or dessert.